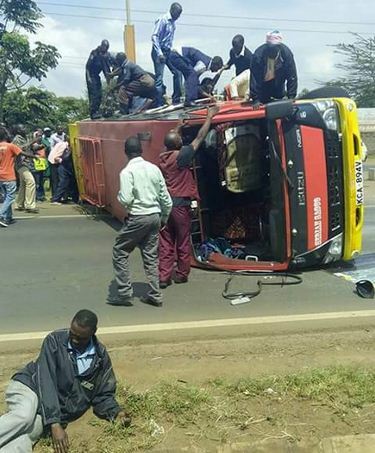 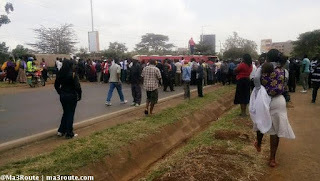 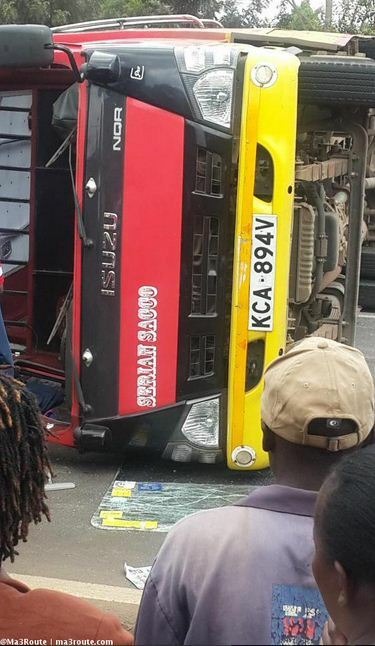 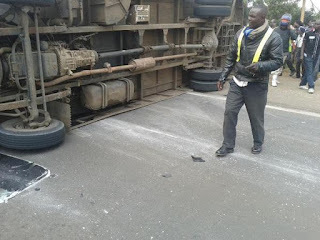 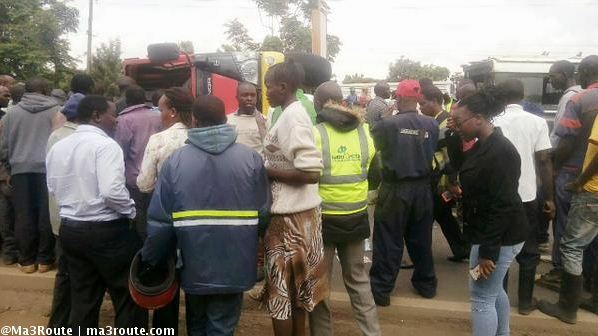 One person died yesterday when a matatu from Ongata Rongai which was heading to town veered off the road and rolled several times and landing on its side. According to the passenger and other witnesses, the driver swerved off the road to avoid a truck but lost control. 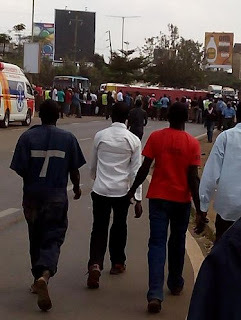 Here are the photos from the scene.